The original, artificial computer was a mechanical device called the difference engine. I had to add the word artificial in there since the word computer originally referred to people whose job it was to perform repetitive calculations efficiently. The difference engine was an "artificial computer" as it was designed to perform the same operations that these "human computers" were performing. 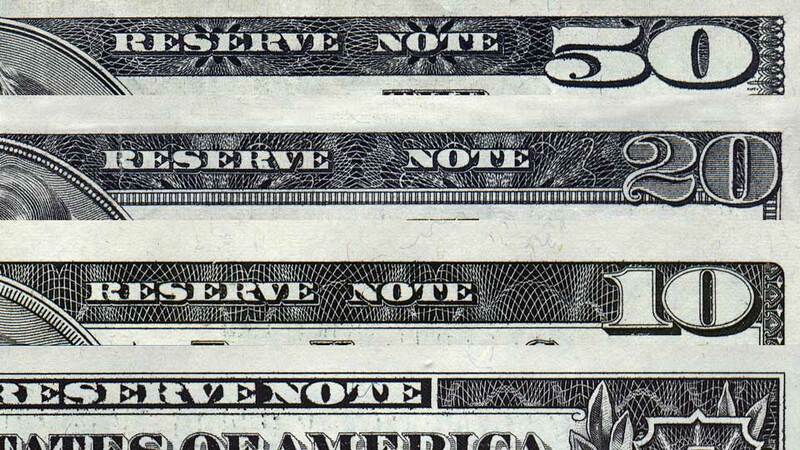 The decorative borders found on US currency are drawn (in part) by a mechanical device called a cycloidal engine; basically a lathe mounted on a pendulum that etched lines on to a metal plate mounted on another pendulum. When the periods of the two pendulums are incommensurate (have no common multiple) the line etched on the plate would trace out an attractive geometric pattern like the ones shown below. Prior to the use of gunpowder, large projectiles were launched during military attacks by means of a siege engine. The best known example of such a device (at least for speakers of English) is the catapult, but the term also includes such devices as the ballista, the mangonel, and the trêbuchet. Although not mechanical, a search engine is an electronic contrivance for sifting through the vast wasteland that is the Internet in search of an unusual word, a specific group of ordinary words, a phrase consisting of words in a particular order, or other such identifying strings of characters. Although I can't verify it, I believe that the contemporary "search engine" is a parody of the earlier "siege engine". The coincidence is just too striking given the nerdish associations between computers and Medieval fantasy role playing games common at about the time when the Internet moved from academic playground to pop cultural phenomenon. With the exception of the last example, the original meaning of the word engine is now pretty much obsolete. This can be traced back to the development of the steam engine in the middle of the Nineteenth Century. Nowadays, an engine generally refers to a device that transforms heat into mechanical energy. Technically, such a device is a heat engine, but in the current era, the adjective "heat" is generally dropped. Although the two devices are often confused, an engine is not the same as a motor. An electric motor (often just called a motor) is a device for transforming electrical energy into mechanical energy. … What about compressed air motors? This gives rise to several linguistic problems. Why are automobiles sometimes called "motorcars"? Many cars do have motors in them, but the device responsible for propelling them isn't a motor. It's an engine. At the dawn of the Twenty First Century cars use motors to drive the wiper blades, open and close the windows, adjust the seat and side view mirrors, and spin CDs; but they only use an engine to drive the wheels (although this is likely to change). The largest auto maker in the US may be called General Motors, but what they really sell are automobiles driven by engines. The description of an engine is simple, but it refers to a wide variety of different devices. Engines can be found in cars, trucks, motorcycles, planes, boats, ships, trains, lawnmowers, chain saws, model airplanes, portable generators, cranes, augers, drills, and rockets (to give but a few examples). Engines can be classified according to one or more of several schemes. Then move on to PV diagrams (indicator diagrams). James Watt called them indicator diagrams rather than pressure-volume graphs since the word graph hadn't been invented yet. Watt & Southern, c. 1796 The indicator was soon adapted to provide a written record of each individual application instead of merely a transient observation. This was a tremendous analytical breakthrough, allowing, as it did, an accurate picture to be formed of the pressure of steam at any time during the movement of the piston. The inspiration was due to John Southern (1758-1815), Watt's draughtsman, who recorded in a letter dated 14th March 1796 that he had 'contrived an instrument that shall tell accurately what power any engine exerts'. The piston starts out at the top of the cylinder and moves downward. The volume above the piston expands, drawing air and fuel into the combustion chamber. Since the intake valve is open during this stroke, the pressure inside the cylinder will be constant and roughly equal to the pressure of the environment. This segment of the cycle is thus represented by a horizontal line (an isobar) running from left to right (from minimum to maximum volume). Assuming the amount of gas within the cylinder increases in proportion to its volume, there is effectively no change in its temperature. Both valves are closed and the gas is squeezed rapidly inside the cylinder. Since the process is rapid, there is essentially no time for heat to be lost to the environment. This segment of the cycle is thus represented by an adiabat running from right to left. Since adiabats are steeper than isotherms, this segment crosses a few isotherms; which is in agreement with our expectation that the temperature should increase. Since the curve runs "backward", the area under it is negative; that is, work is being done on the gas. Igniting the fuel-air mixture inside the cylinder does two obvious things: it raises the temperature and it raises the pressure above the piston. It occurs so rapidly, however, that there isn't a lot of time for the piston to react and the volume above it is effectively constant. This segment of the cycle is thus represented by a vertical line (an isochor) running from bottom to top. The curve crosses several isotherms (since the fuel-air mixture's heat of combustion is dumped into the system), but no work is done on or by the gas (since the area under a vertical line is zero). The piston is pushed down by the intense pressure following ignition. Volume increases but it happens so quickly that the heat lost to the environment is minimal. This segment of the cycle is thus represented by an adiabat running from left to right. Since this curve runs "forward" the area under it is positive and work is done on the environment. That's why it's called the "power stroke". This is the only part of the cycle that results in any useful work being done. Since the curve of the power stroke is higher than the curve of the compression stroke, the net work of the gas is positive. Thus (overall) each cycle does work on the environment. This makes sense as engines are a devices for doing work. In addition, the curve crosses several isotherms. Closer inspection of the indicator diagram shows that more isotherms are crossed during the power stroke than were crossed during the compression stroke. This is an important observation that sets us up for the next part of the cycle. The valve is popped open at the end of the power stroke, which reduces the pressure inside the cylinder to the pressure of the environment. It occurs so rapidly, however, that the volume above the piston does not effectively change. This segment of the cycle is thus represented by a vertical line (an isochor) running from top to bottom. Since the graph is vertical, no work is done on or by the gas at this time. The line does cross several isotherms, however, which means that internal energy is decreasing. Since no work is done, this decrease must be as a result of heat exhausted to the environment. In accordance with the work-energy theorem, this heat lost is less than the heat gained during combustion (the difference between them being equal to the net work done by the gas). The last part of the cycle returns the system to its initial conditions. Since the exhaust valve is open during this portion of the cycle, the pressure inside the cylinder is effectively equal to that of the environment, but since the piston is moving upward, the volume above it decreases. This segment of the cycle is thus represented by a horizontal line (an isobar) running from right to left (from maximum to minimum volume). Assuming the amount of gas within the cylinder decreases in proportion to its volume, there is effectively no change in its temperature. In addition, the area under this segment is equal and opposite the area under the intake stroke. Thus (in the ideal world, at least) no work is done on or by the gas as it is drawn into and forced out of the cylinder. And lastly, the essence of engines. Efficiency in general vs. efficiency in engines. What symbol would you prefer: η [eta] or ℰ [script capital e] or e [lowercase e]? Efficiency applies to more than just engines.